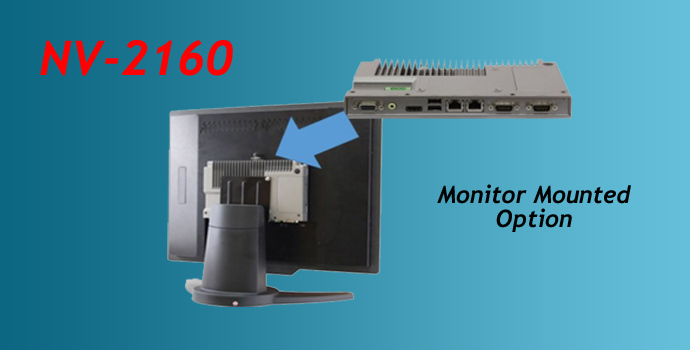 A nifty optional mounting kit takes advantage of the extremely petite dimensions of the NV-2160 allowing the device to be mounted on the back of PC Monitor. With a depth of less than 30mm, combining it with a desk mounted monitor provides a very slim-line configuration for desk applications. Whilst attaching the NV-2160 to the back of a panel mount monitor provides a very space efficient implementation for kiosk or control consoles.